Afternoon Tea is available Tuesday – Saturday 3.00 – 5.00pm. £12.95pp or add bubbly for an extra £5.00pp. Booking is essential. 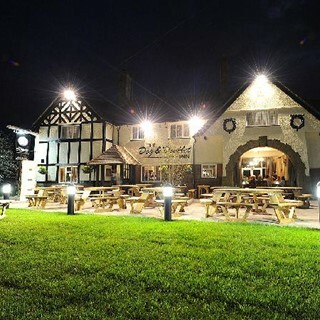 Taking you back to traditional Inn Keeper hospitality, The Dog and Doublet Inn provides a warm and friendly ambiance, making it the ideal place for your to truly indulge, enjoy and relax. As always, a delicious meal served with perfect timing and a smile by friendly staff going the extra mile. My favourite place to eat near Stafford. The arancini, pan fried salmon and Bakewell tart with raspberry ripple ice cream all yummy! Excellent lunch all 3 meals where amazing. Nothing to much trouble for the staff to slightly alter requirements. Would recommend a visit to anyone. Most of the food was good. One meal was cold and had to be sent back.. twice. Chips were cold on all steaks. Mains were clearly ready before the starters had been cleared so food had been sat under lights hense the cold chips. Service was poor, had to ask for cutlery as each course was brought out and when deserts were brought out soup spoons were given instead of dessert spoons. However Ben (I think he was the assistant manager) was very helpful and seemed to know what he was doing! What a perfect meal! The starters were the cauliflower fritters & the brie. The mains were the Chicken Pastor & Pork, The deserts were the best part. The service was really good. We will of course be back!! Arrived for a family birthday. Atmosphere not very welcoming, chairs scattered everywhere when you walk in. Service wasn’t the best, started with forgotten starters and then children’s roast was awful. The cuts of meat were horrendous-fatty, couldn’t cut, string still attached. Problem was dealt with. But this is not something I would expect from a Lewis Partnership establishment. Great service. Lovely food. This place deserves to be busy. Fantastic food, in a great pub, with fantastic service. Will definitely be back again and again. Lovely setting, friendly staff, quick service and the food is great. This was my second time at the D&D and we all left happy on both occasions. Amazing afternoon tea with good selection of sandwiches and cakes. A great deal for the price. We found the staff friendly and liked you could choose where to sit when booking. Janet looked after us extremely well. A lovely visit as always. Excellent traditional afternoon tea and impressive gentleman’s tea (thank you for noting and taking food allergy into account). Would have appreciated being asked if more drinks required (tea) although this would not stop me recommending. A lovely meal, one of the best stake I have ever had. On making on line booking, I was asked where we’d like to sit, as we’ve never been I felt more explanation on website would of been handy. That said Staff were lovely and changed table upon arrival. Appetisers were bigger portions than expected. Batter not needed on cauliflower, chips could have been cut smaller but overall tasty food. Good wines. Only one port and bread not crackers with smidgen of cheese. If in area definitely worth a visit. This is the first time that we have visited the D&D since it has been refurbished. 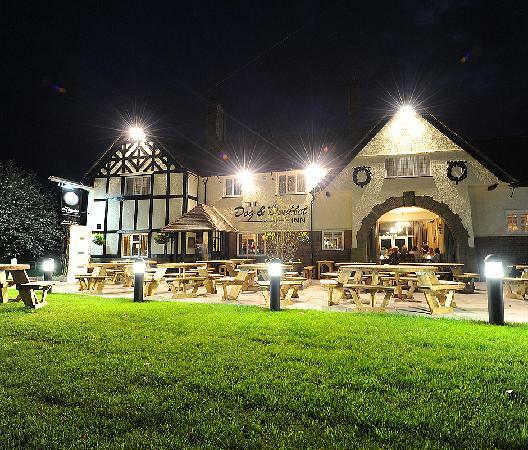 We were very impressed with the ambiance, friendly staff and choice of food. We will come again or use one of the other restaurants run by this group. We both liked our meal a lot, our guest was less keen on his beef, but he did ask for it to be more done which may be why he felt it a bit chewy. I really enjoyed this for my 60th birthday. The one most positive point about the atmosphere was that there was no background music playing that evening. This was brilliant because I could have a proper conversation with relatives and partners and we could all hear each other properly. You may (or may not) be amazed how difficult it is to find somewhere where the music is absent or at sufficiently low volume not to get in the way. Staff were really helpful and friendly, let us bring our cake and provided a knife and lighter for it. The food is quite expensive but worth the price. Everyone thought the food was very good including my starter the camembert. I had duck for the main course. I asked for it well done and it was just about cooked through enough for me not to send it back but I would have preferred it cooked more, but nobody else had any issues with the food. A great night out and I would recommend it, especially for the music absence.